Nov 24th 2018: Match template for Saints 0-0 Killie created. Killie are drawn at home to Forfar Ath in the 4th round of the Scottish Cup. 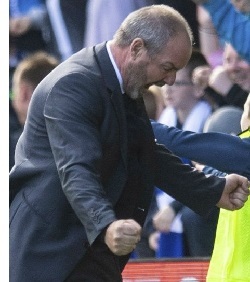 Nov 23rd 2018: Steve Clarke comments updated on the Eve of the Saints away match. 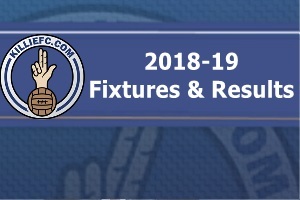 Our fixtures page has been updated to reflect three televised matches all from Rugby Park! Nov 20th 2018: It's a photo extravaganza from Boomer's Charity Match on Saturday from Ross Mackenzie! Nov 17th 2018: The Killie XI beat the Rangers XI 6-3 in Kris Boyd's Testimonial Match at Rugby Park. Nov 16th 2018: Steve Clarke comments updated on the Eve of Kris Boyd's Testamonial. Nov 6th 2018: It's the Ding & Fauldsy Photo Special from Rugby Park! Oct 30th 2018: Kilmarnock FC and Killie Trust Director Cathy Jamieson has sent us a report to share with Killie fans about her first few months on the Club Board. We had a wee bit of fun with some video footage but we're sure she won't mind too much! 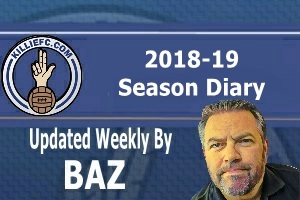 Oct 27th 2018: Match template for Killie 1-1 Accies created. The Match Recap from Saturday's win in Paisley, now with Ross MacKenzie's images uploaded. Oct 21st 2018: Steve Clarke's comments caught up. Oct 8th 2018: The Killie Trust have a couple of tickets to raffle off for the Kevin Bridges Friday 12th October gig in the SSE Hydro. Click HERE scroll down the page to the “Donate” button and give us £5 and you could win the pair. Drawn on Wednesday at 9pm - good luck! Oct 7th 2018: Steve Clarke's comments updated. Comments added to Kris Boyd's profile. Do you remember Joe Nibloe added. Apologies for the delay…we have now added Ross MacKenzie’s photos to the match recap of our WIN over Motherwell last Saturday. Sept 25th 2018: It’s an image extravaganza this week with Ross Mac’s photos in the recap of the win over Celtic! Sept 18th 2018: Ross Mackenzie's match photos have been added to the Match Recap from Easter Road. 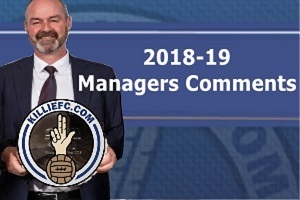 Sep 16th 2018: Steve Clarke's comments updated. August 28th 2018: The Jambos match recap now has Ross Mackenzie’s images uploaded. August 25th 2018: Match template for Killie 0-1 Hearts created. August 23rd 2018: Steve Clarke's comments updated. August 22nd 2018: Happy 15th Birthday to the Killie Trust! They said it would never work, they said it was a flash in the pan, they were wrong. With well over £200,000 raised for Kilmarnock Football Club, countless initiatives which have benefited the community and now with a fully fledged director on the Club Board…the Killie Trust and its members can look back on the last 15 years as a resounding success. Thanks to everyone who bought into the idea, literally and figuratively. This is Your Club and Your Time and with your continued support the next fifteen years will hopefully bring more of the same. August 19th 2018: BetFred match template created for Killie 1-3 Rangers. August 18th 2018: Steve Clarke's comments updated. 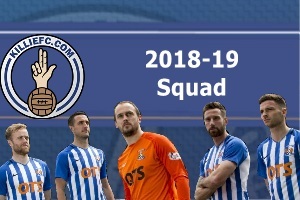 August 16th 2018: Squad page updated to reflect Erwin & Greer departures & Bachmann arrival. August 11th 2018: Match template for Livi 0-0 Killie created. KFCSA Chairman Iain Sherry interviews Scottish Cup winning manager Bobby Williamson for KillieFC TV. August 5th 2018: Steve Clarke's comments updated. July 31st 2018: Like their 300 namesakes the home side put on a brave show but could not cope with the firepower in the end. Unlike days of yore, we had Ross Mackenzie on the sidelines taking pics. This Is Sparta! The Killie Trust updated the register after another wee boost in numbers at the Open Day. They now have 1,422 shareholders and 533 fully paid up active members, that's good going and getting better! July 26th 2018: Steve Clarke's comments caught up. The Match Recap of our cup win at Dumbarton has now been populated with Ross’s images. 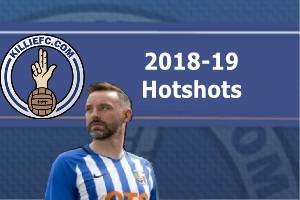 July 21st 2018: Match template for Sons 2-4 Killie created. July 14th 2018: Steve Clarke's comments updated. July 13th 2018: Match template for Killie 0-0 Buddies created (Killie lose 2-3 on pens for extra point). July 6th 2018: Steve Clarle's comments updated along with Stuart Findlay's profile page. June 5th 2018: The Trust Shareholder's Register has been updated…now including a famous left back! The Killie Trust release the latest financial update (#9) for their Trust In Killie initiative. May 25th 2018: Killie's Betfred League Cup opponents (in Group H) will be: St Mirren, Dumbarton, Queen's Park & Spartans.